FULLY DETAILED. Recent Arrival! 24/33 City/Highway MPG 2018 INFINITI QX30 Premium Premium Mcgavock Nissan is Family owned and operated dealership and we treat our customers just like they are part of the family. Visit us today for the very best deals in West Texas. MOONROOF/SUNROOF, FULLY DETAILED, Non Smoker, Carfax Gauranteed, Local New Titan Trade In. CARFAX One-Owner. 2018 GMC Yukon XL Denali Denali Mcgavock Nissan is Family owned and operated dealership and we treat our customers just like they are part of the family. Visit us today for the very best deals in West Texas. FULLY DETAILED, Local New Titan Trade In, Service History Available, Tri Fold Toneau Bed Cover, 6speed Allison Transmission, High Country Edition, Non Smoker, Very Well Maintained, Super Low Miles. Odometer is 30067 miles below market average! CARFAX One-Owner. Clean CARFAX. 2017 Chevrolet Silverado 2500HD High Country High Country Mcgavock Nissan is Family owned and operated dealership and we treat our customers just like they are part of the family. 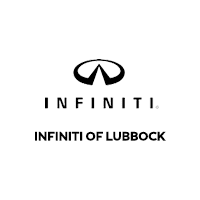 Visit us today for the very best deals in West Texas.